Zoe studied Art and Design at Barnet College in North London. She left college after 18 months to work on a commission of 8 Drawings for the Cunard Liner Sagafjord which led to a job with an Interior Designer in London. She then worked on the QE2 Liner, the P&O Sea Princess and Hilton Hotels as a Muralist and Specialist Painter. Through recommendations and word of mouth Zoe went on to work for many clients over the years including a Jordanian Princess and other famous faces/footballers, in private homes and premises around the world. Zoe feels very lucky having met such interesting people and getting to travel a lot. Zoe has mainly painted in oils for Murals but has also used Acrylic, Pencil, Pen, Embroidery and Modelling Materials in her work. She is originally from Islington in North London but has lived on the Wirral for nearly 10 years as her mother is from here. She is inspired by the beautiful scenery and nature as it is a real change from the busy urban jungle of London. She loves long walks along the beaches, taking photographs and rock pooling with her young son. 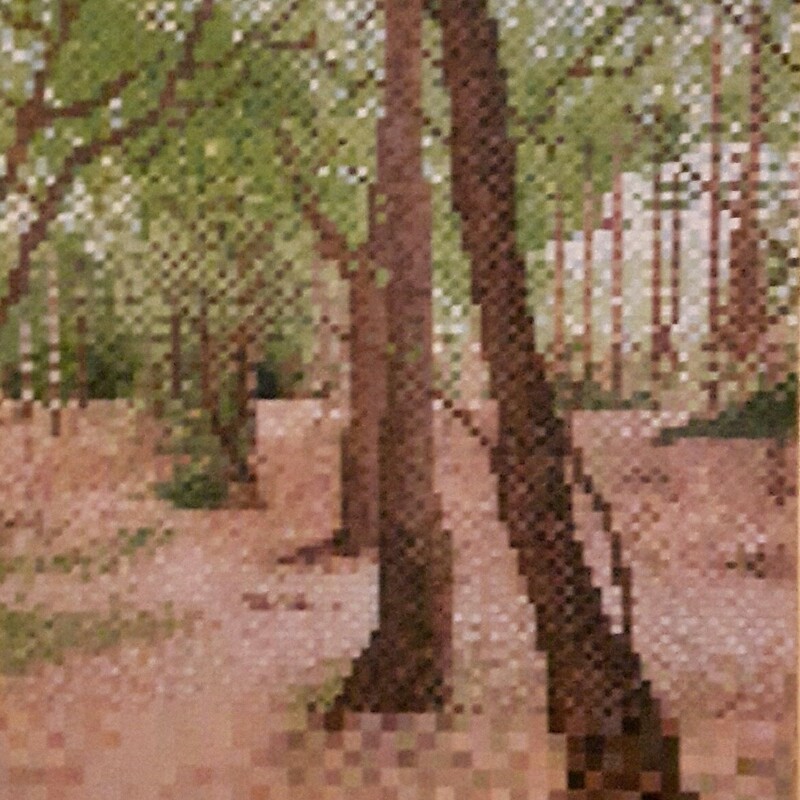 Zoe’s recent works show pixelated scenes painted from photographs of Wirral landmarks, country parks, woods and beach views. She enjoys all kinds of Art but favourites are Seurat, Klimt, Italian Renaissance Art and also the likes of Banksy, Ron English and Ruth Collett.